Submitted, with thanks, by Ghina Koussa, OCISO Settlement Counsellor. 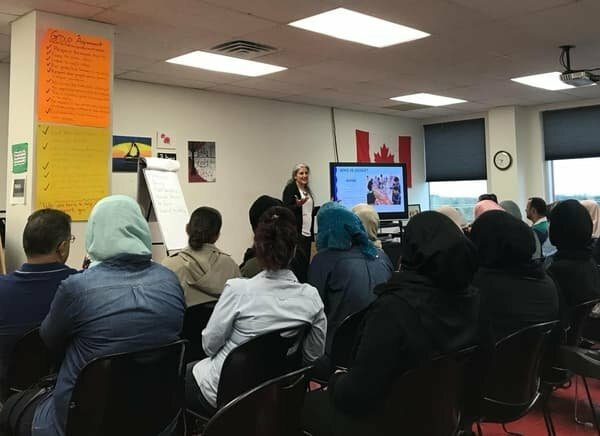 On September 19, for the second year in a row, a remarkable all-day event took place at OCISO’s LINC (Language Instruction for Newcomers to Canada) community room, 3rd floor, 1800 Bank Street. 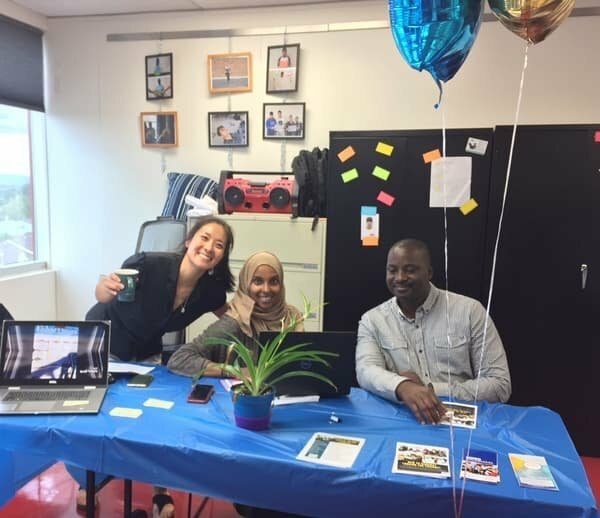 LINC students got a chance to learn about services to newcomers offered by all the OCISO programs and to engage with the presenters one to one. As a settlement counselor at LINC, I realized the need to introduce all OCISO programs to the students since they lacked information on our services. So the purpose of the fair was to introduce OCISO services to all LINC students as most of our programs are of great benefit to them. Accordingly, representatives from OCISO’s different programs took turn presenting their services in the easiest and simplest way possible based on the fact that they are English students and their language understanding is limited. After the presentations, we had an open discussion on the programs, where each program had a table setup separately. Students had the opportunity to visit each table and obtain further information from the multilingual staff. Karen Hilderman CLB 06/07 teacher (NB: CLB refers to the Canadian Language Benchmark) did an amazing job coordinating with the teachers and approximately 120 students. and Dragana, OCISO’s Settlement and Integration Manager, was there to wrap it all up. 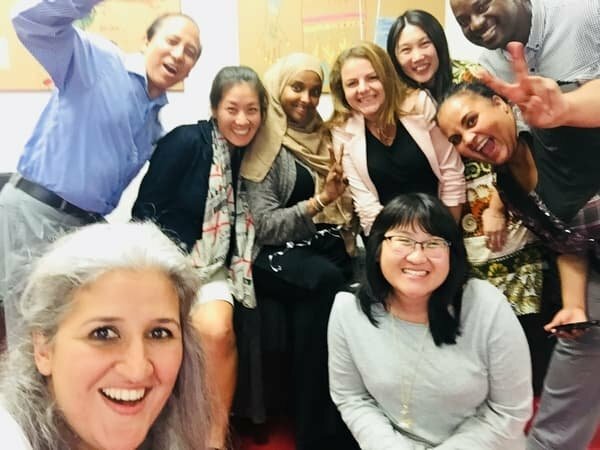 OCISO provides a multitude of services to newcomer clients in various locations across the city. 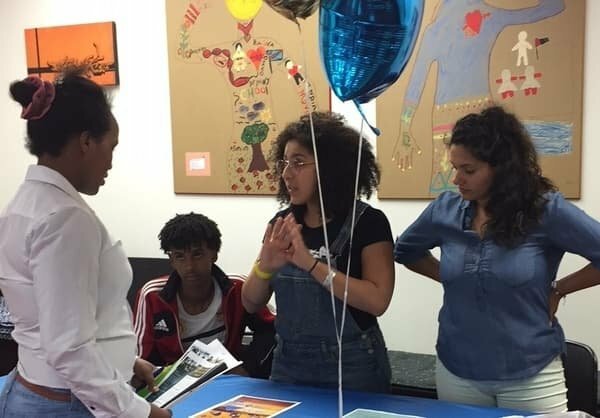 This Services Fair was a unique opportunity to create synergy amongst all the OCISO programs in a single setting, and the LINC students were very appreciative to learn more about the services each program provides.